We’ve been trialling our new ‘Sun King’ solar panel system for over two months now and we’re pleased to say that it’s working great! Even though the panel is small it’s proved to provide more than we need for three hanging lamps and also enough to charge phones every morning. Bale Tau is ‘off-grid’ meaning it doesn’t have mains (PLN) electricity connection, and it’s awesome for us to have proper space lighting after two years of using only small solar desk lamps. The solar panel sits on the palm-thatched roof of Bale Tau where it catches rays from the sun as it moves around our garden throughout the day. The panel works with indirect as well as direct sunlight, so the battery is topped up even when its a little cloudy, as it often is in Batukaras. On a sunny day it charges faster and the sun catches it most directly between about 10am and 2pm. The solar energy is then stored in the ‘SunKing’ battery. The battery has two USB ports for phone charging and we tend to plug our phones in to charge when we wake up. Later, we aim to unplug them by around 1pm so as to allow the battery to recharge before dark, as the phones take much more battery power than the lights. 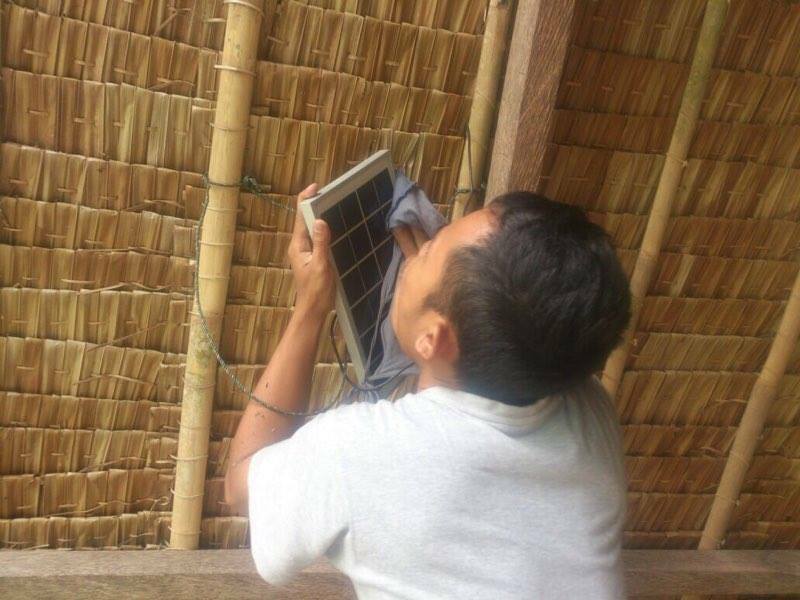 The solar panel is waterproof which is lucky for us seeing as we can get quite heavy rain here sometimes, especially in the wet season. We clean it of dust every week or two to optimise its performance and this maintenance is completely cost-free. We installed the SunKing system (panel, battery and lights) ourselves, with the help of some the young people who attend our classes, and they learnt all about how solar photovoltaic (PV) systems work at the same time. 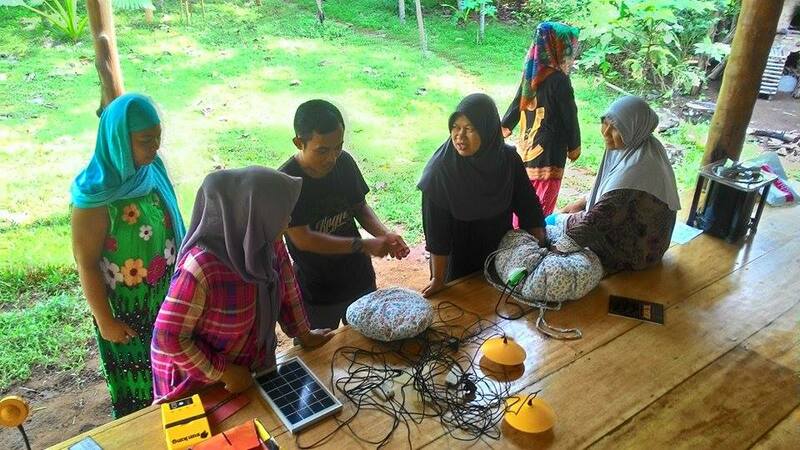 Before we installed the system we hosted a local Womens’ Group (PKK) meeting where everyone learnt about how the solar panel system works with a hands on trial. We shared how solar PV panels convert the sun’s rays to produce electricity for us in a sustainable and environmentally friendly way as the sun is a renewable source of energy. Also reducing monthly electricity bills, increasing energy independence and increasing resilience against the frequent power cuts in the area. 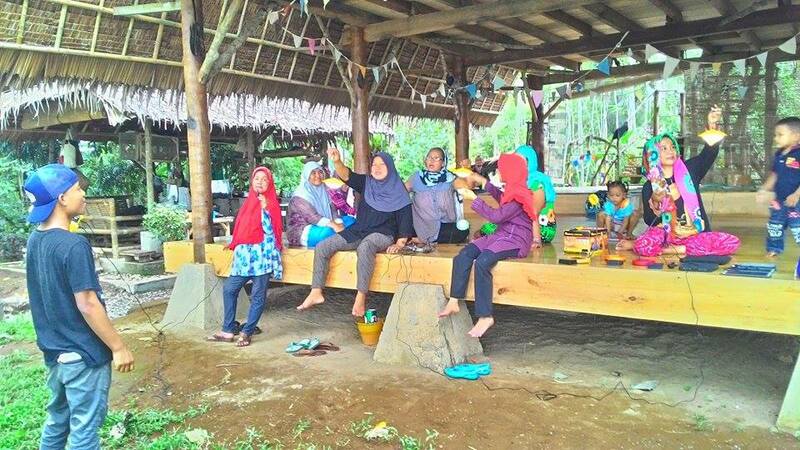 Most of the people had never seen or handled a solar panel before and the women’s group are enthusiastic about becoming ambassadors to share solar and other sustainable technologies with other people in the local area.